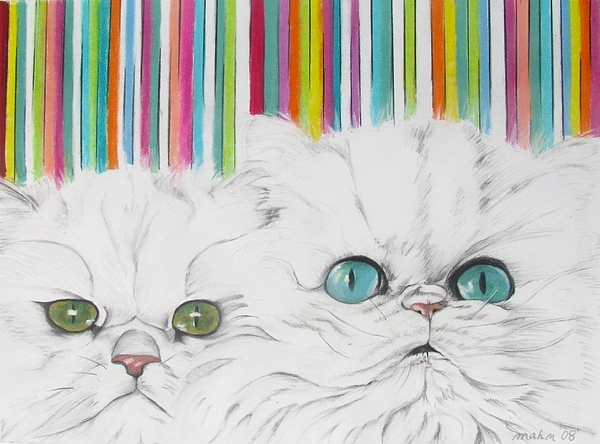 Charming. Pinned Wall D�cor - Art in Aqua. 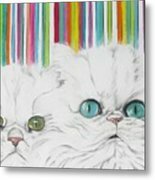 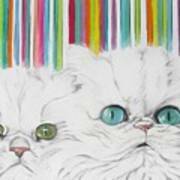 Wonderful pastel work...such intriguing eyes and expressions the cats have..
Two fuzzy white angora cats with blue and green eyes in front of a bright, multi-colored striped background.